Can be safely disposed into sewers and drains. The most economical way to purchase large quantities of Evapo-Rust. 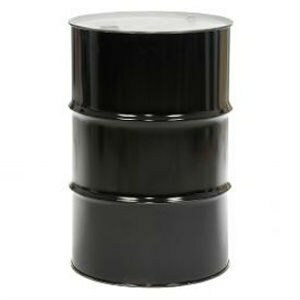 The 55-gallon drum is intended for businesses requiring large quantities. This is the most economical way to purchase large quantities of Evapo-Rust. Evapo-Rust is a safe, effective and fast-acting rust remover. In addition, it’s easy to use. Simply soak your rusty object in Evapo-Rust for 20 minutes to remove light rust or overnight to remove extremely heavy rust. Evapo-Rust™ will not harm surrounding materials like steel, plastic, rubber or paint. It is a water-based, non-toxic liquid that is environmentally safe to use – no fumes or bad odors. The biodegradable solution requires no special equipment or scrubbing to use and can be safely disposed into sewers and drains. Evapo-Rust has an indefinite shelf life and can be used over and over again until it stops working. This item cannot be shipped by our standard shipping policy and must be shipped by truck. We will confirm a freight quote before we ship this product to you.